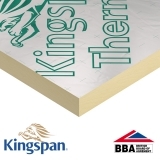 Insulation Superstore is proud to offer a wide range of insulation boards, from a variety of well-known brands and industry leaders, such as Celotex insulation board and Kingspan insulation boards. From general purpose applications to project-specific tailor-made systems, we can supply your project with loft insulation board at a fantastic price. Get your insulation board without even having to leave site – we deliver directly to you! With so many brand names and types of loft board available, you’ll be able to find the insulation board you’ve been specified, along with all the fixtures and fittings you’ll need. We’re confident that we have everything you need, and with our famously competitive prices you’ll never need to look anywhere else. For any advice, recommendations on the best insulation board for your project, or other queries, feel free to call our team of experts on 01752 692206 or use the live chat and they will be more than happy to help. Insulation boards, also referred to as foam boards, loft boards, or rigid foam, are a rigid material, manufactured in sheets, to provide extra insulation within your home. They are simple and easy to fit, and come in a wide range of different materials, sizes and thicknesses, to ensure you can find the most suitable insulation board for your project. What are the different types of insulation board available? PIR boards (polyisocyanurate insulation) are manufactured by blending a selection of materials together to create a single board of rigid foam. During the reaction, heat is generated, causing gases to be released and then trapped within cells. 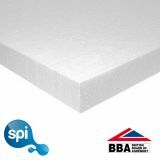 This results in a high thermal performance, and the foam board is then sandwiched between two foil facings – these are often moisture resistant, to protect the insulation from becoming damp, which can greatly reduce the effectiveness of the PIR board. PIR board is a popular form of insulation, as not only can it be used in a wide range of applications, it is also considered one of the most efficient forms of insulation available. Additionally, benefits of PIR board include its structural rigidity, making installation simpler and improving the lifespan, as it does not sag over time, and its fire resistant properties – PIR board cannot melt within fire due to the chemical reactions used to form the PIR board. 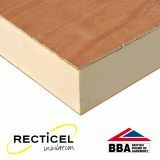 Take a look at Insulation Superstore’s range of PIR boards, from brands including Celotex, Kingspan, Reticel and Quinn Therm. XPS insulation (Extruded Polystyrene Insulation) is a closed cell, rigid form of insulation board.  An Extrusion process is used during the manufacturing of XPS, meaning that products are melted together, and the liquid is then shaped through a die, expanding as it cools. This creates a product that has a closed cell structure, meaning water penetration is prevented, and the manufacturing process creates a durable and strong insulation board, that also has high compressive strength. This makes XPS insulation a good choice for floors, ceilings and flat roofs. Benefits of XPS insulation include its moisture resistance, meaning mould and damp is less likely to occur, its long term durability, meaning its insulating properties do not deteriorate over time, and it is reusable – old XPS boards can be melted and used to create new XPS boards, reducing their environmental impact. 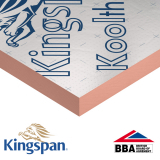 If XPS insulation is your choice, take a look at our range of XPS boards from brands such as Fibran, Danosa, Cellecta and Kingspan for more information. EPS insulation (Expanded Polystyrene Insulation) is similar to XPS insulation, but goes through a different manufacturing process. Instead of melting products together to form a liquid, a mould is used, that is filled with small foam beads. This is then warmed using heat or steam, causing the foam beads to expand and fuse together. Unlike XPS insulation, EPS insulation will have small voids between beads, where they haven’t completely fused together. This means that water can penetrate the insulation, making it less effective. However, if working on a budget you may opt for EPS insulation, because it is still thermally efficient, and is one of the cheapest insulation products available. Benefits of EPS insulation include it’s cost-effective prices, its lightweight properties making transportation, handling and installation quick and easy, and its durability – like XPS boards, EPS insulation’s insulating properties do not deteriorate over time. 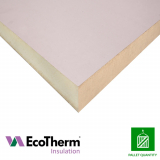 For more details on EPS insulation, and to look at the range of EPS boards available, browse our range that includes EPS boards from Styrene and Jablite. There are a number of different finishes of loft board, or insulation board, depending on the specific project in mind. 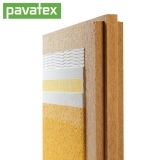 Tongue and groove edging is available on a number of insulation boards. Tongue and groove edging consists of precision cut slots that ensure the insulation boards fit tightly together, with no gaps. 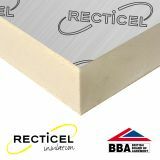 This helps to minimise heat loss through thermal bridging, which improves the insulating properties of the insulation boards. 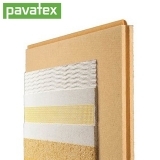 Tapered edge insulation boards are most commonly found on insulated plasterboard – an insulation board that combines both insulation and plasterboard to speed up the installation process. These boards have edges that are thinner at the sides, meaning that the surface can be dry-lined, with scrim and joint fillers applied at edges of the boards without affecting the smooth surface finish. Shiplap edge insulation boards are similar to tongue and groove edging, but with a slight difference. 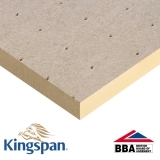 Named after the process traditionally used to build ships, the shiplap edged insulation boards have small grooves that allow each board to interlock securely with the adjoining boards, providing security, stability and strength. 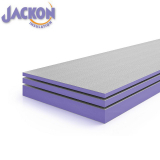 Square edge insulation boards are simply insulation boards that have no special joints, grooves or edges, but are cut square. 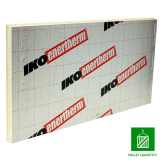 Square edge insulation boards are popular in large projects as they fit next to each other easily. 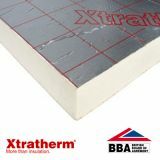 What can insulation boards be used for? Each brand of insulation board is different, be it because of the materials they’re manufactured out of or because of their core application. 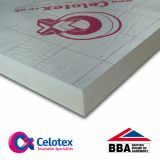 General-purpose insulation boards such as Celotex GA4000, Celotex XR4000 and Eco-Therm Eco-Versal are perfect for many standard applications. These types of boards can be used in pitched roofs, ceilings, floors and walls thanks to their sturdy makeup and their easy installation. 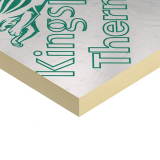 Insulation board that is for more specific applications such as the range of wood-fibre Pavatex boards and JCW Acoustic’s boards can also be found here at Insulation Superstore. JCW Acoustic Deck 28 for example is designed to be laid directly over timber floors to reduce impact and airborne noise. This product would not perform should it be fitted in walls or pitched roofs. Therefore it is important to find the correct insulation board for the specific job to ensure optimum insulation levels are achieved – if you’re struggling to work out exactly what you need don’t hesitate to call our team of insulation experts on 01752 692206, or use the live chat in the bottom right hand corner.